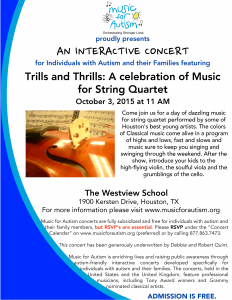 Come join us for a day of dazzling music for string quartet performed by some of Houston’s best young artists. The colors of Classical music come alive in a program of highs and lows, fast and slows and music sure to keep you singing and swinging through the weekend. 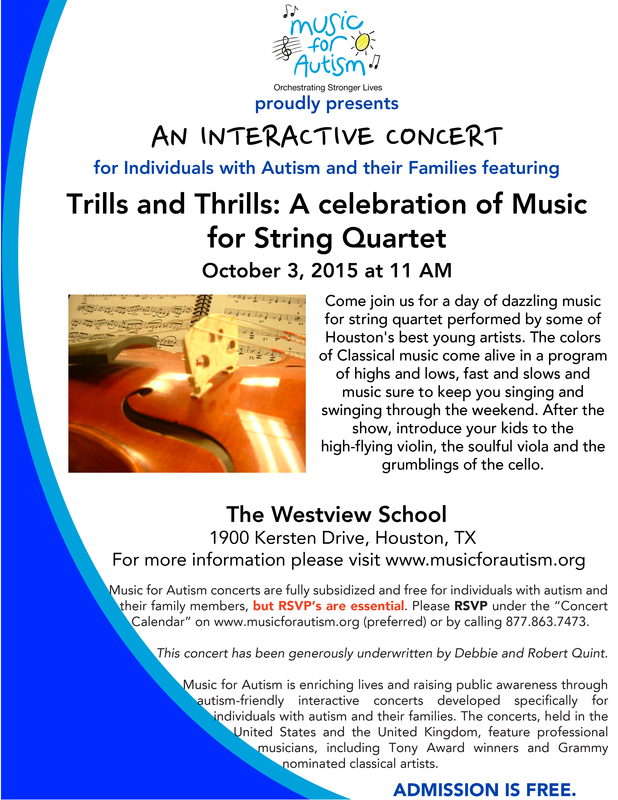 After the show, introduce your kids to the high-flying violin, the soulful viola and the grumblings of the cello.